Nature’s Sunshine Digestive Bitters Tonic works to improve the appetite, boost the immune system, and assist in healthy digestion. 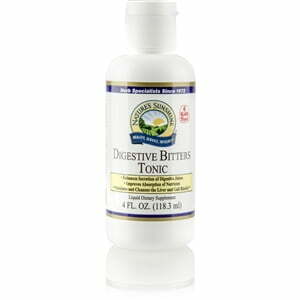 The bitter herbs in the formula help clean the digestive system, particularly the liver and bladder. 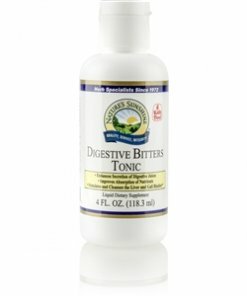 Digestive Bitters contains stevia and glycerin. Instructions: Adults: Take one teaspoon (5 ml) 15 minutes before meals. Children: Take 1/2 teaspoon (2.5 ml) 15 minutes before meals.